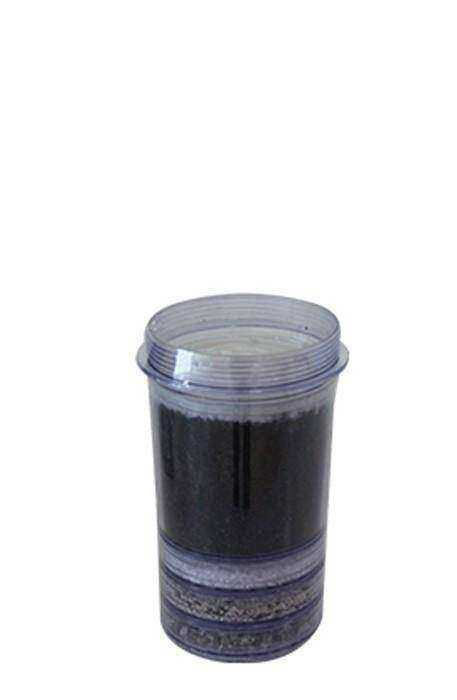 The cartridge filter composed of natural materials such as activated Carbon, Zeolite, Silica sand and mineral sand. Activated Carbon - Removes chlorine, THMs, organic chemicals and unpleasant odour and colours. Silica Sand - Removes acidic components from the water and thereby brings about a pH balance. Zeolite - Removes heavy metals such as lead, mercury, gold and silver. Heavy metals can accumulate in bodies, high levels of heavy metals lead to a wide range of terminal illnesses. Mineral Sand - Releases minerals and adjusts pH of water mild alkaline which helps to restore the pH balance of body fluids. Enquire about "4-Steps Water Filtration System"